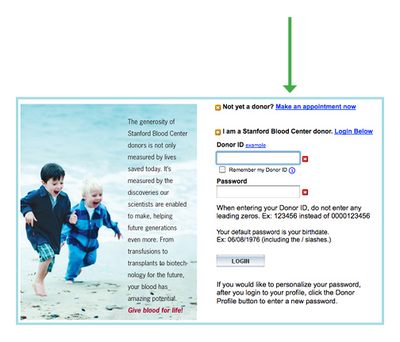 Click here to view this information in an online tutorial. 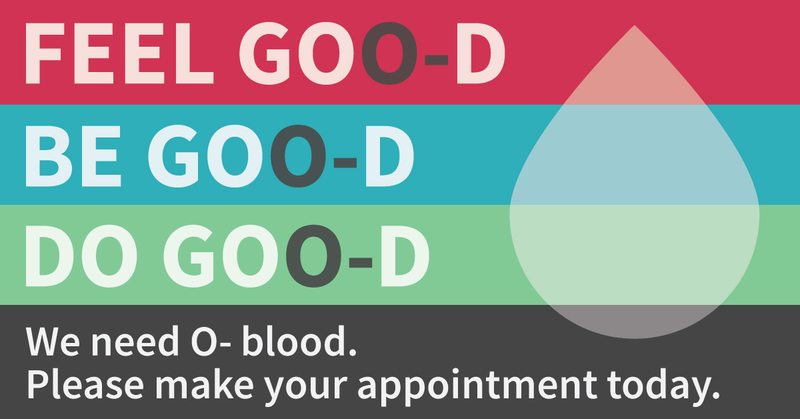 Visiting a mobile blood drive is a convenient way for busy parents, students, and professionals to keep up with their routine of donating blood without having to travel too far. 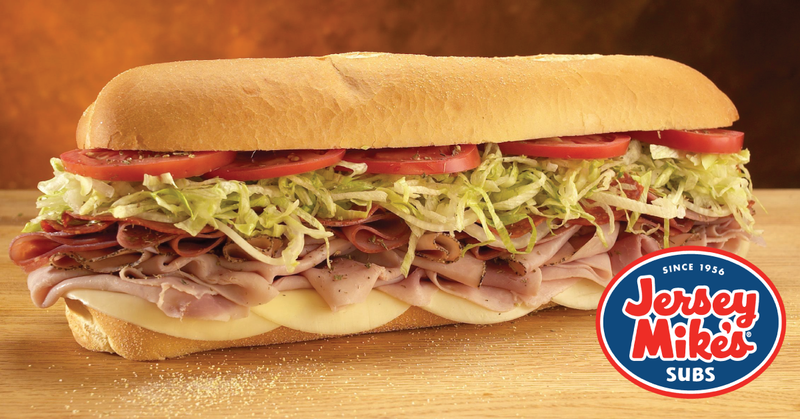 We come to you so you don’t have to come to us! 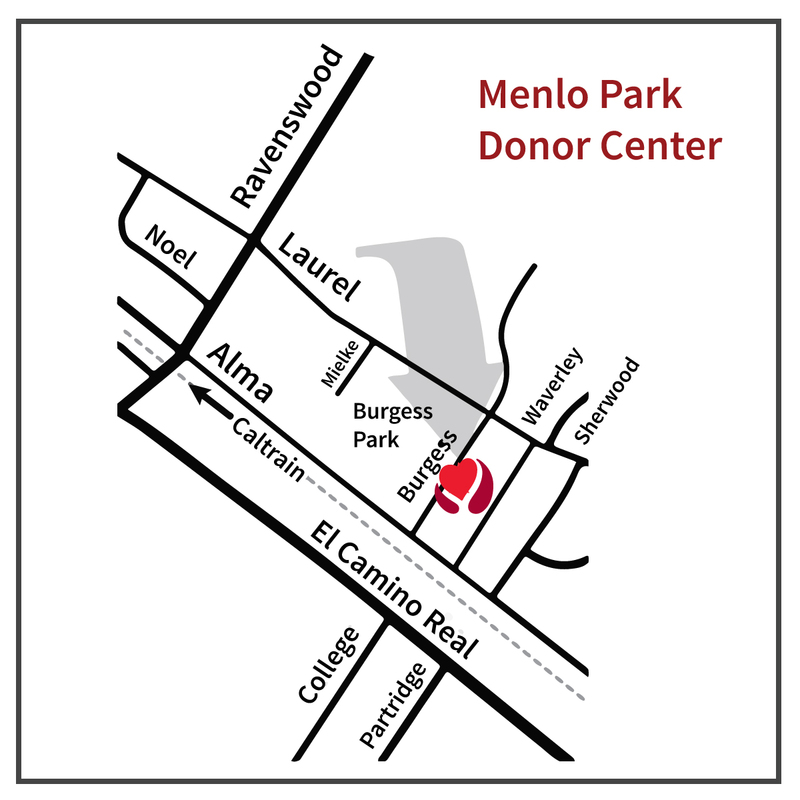 Accounting for about 55% of the total amount of blood we collect, our drives are hosted at college campuses, high schools, churches, and hundreds of companies in the Valley and up the Peninsula. Geographically, we cover quite a bit of land. 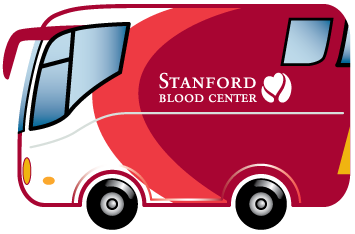 You might spot our bloodmobiles traveling south on 101 to Gilroy, north on 280 to San Francisco, cruising along in downtown San Jose or even parked in a residential neighborhood. 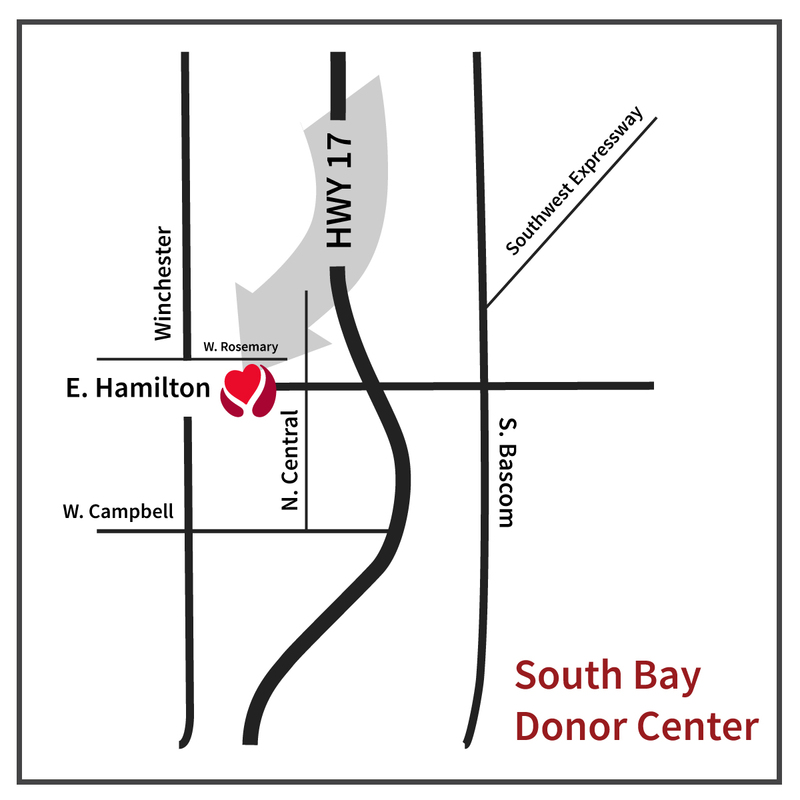 Searching for a blood drive in a location that’s convenient for you is easy! Just follow these steps. 2. 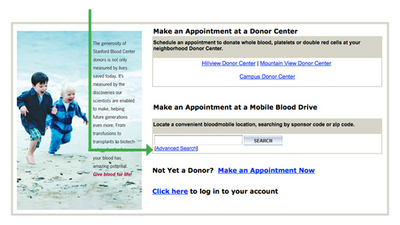 Click on the advanced search link under “Make an Appointment at a Mobile Blood Drive”. 3. In the middle column, enter your desired zip code. Note that the search radius is set to a default of 5 miles. You may want to change this to 2 miles to narrow in a bit closer. Leave the donation type as “Any” and the date as today (this will allow you to view all blood drives today, going forward). Click Search. 4. Click on the “Mobiles Only” link. 5. Depending on the zip code entered, you may have many results. To narrow in a bit closer to your desired location, click on the “Sort by Distance” link. 6. 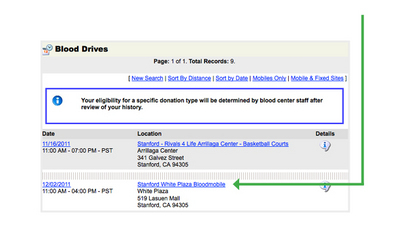 Find your preferred blood drive and click on the name. 7. Find your preferred time and click on the “Schedule” link to the right. Here, you will be prompted to log on to your account. Click OK.
8. A. 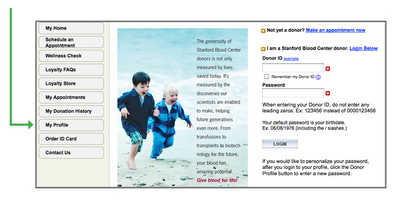 Enter your donor ID number. 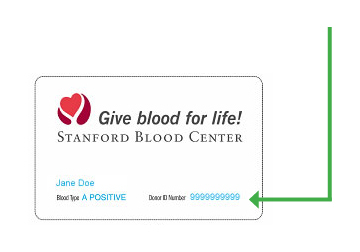 This can be found on your donor ID card. 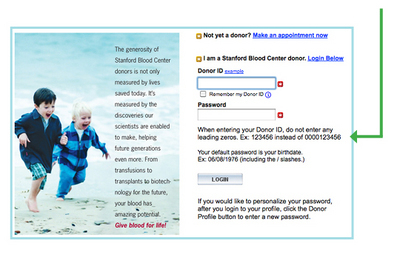 If you don’t know your donor ID number, send an email to sbconlinehelp@lists.stanford.edu or call us at 650-736-7786. 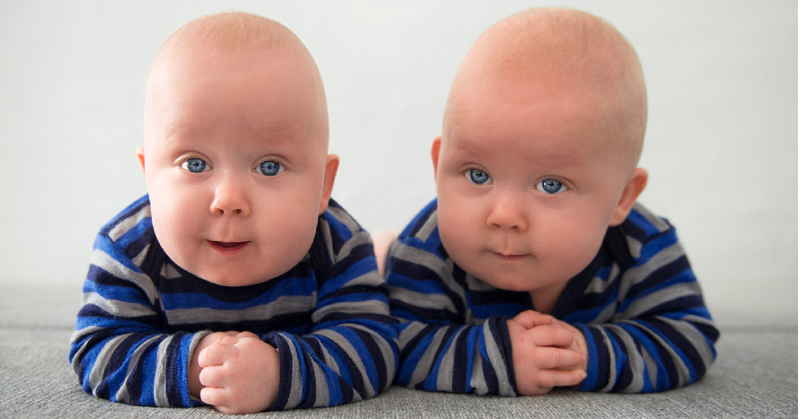 We’ll ask you to confirm your date of birth so we can be sure to provide you with the correct ID number. 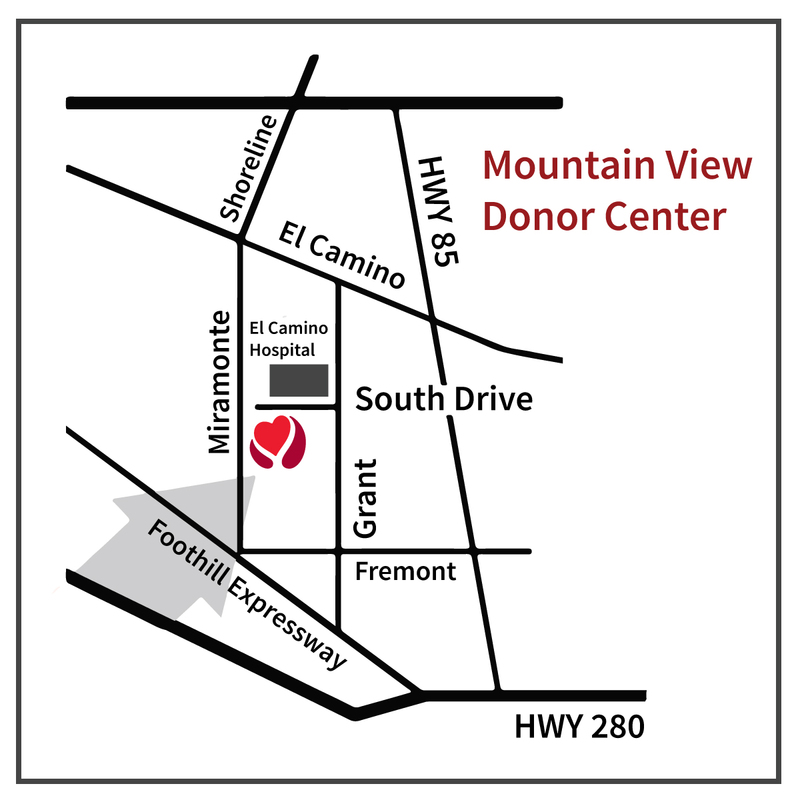 **If this is your first donation with us, click on the link next to “Not yet a donor?” at the top of the page and follow the instructions. B. Enter your password. Your default password is your birth date, entered as shown on the website, with slashes. If you would like to personalize your password, after you log in to your account, click the My Profile button, scroll to the password field and enter a new one. 9. 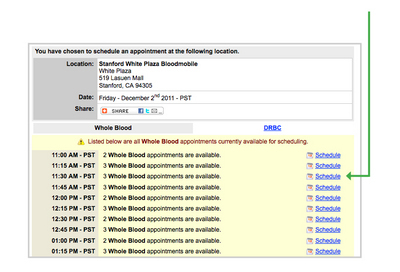 You should now see your appointment confirmation. You may print this page or add it to your online calendar. 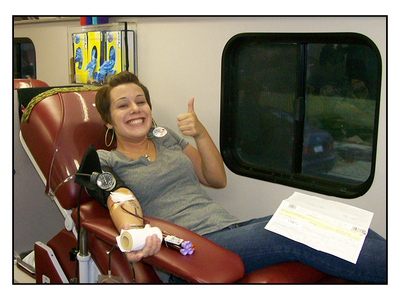 Donating blood is an activity that many of our dedicated donors treat as an important part of their regular routine. Regardless of where you donate, we acknowledge and appreciate the time and effort involved with each visit.